The Clinton Industries Complete School Clinic Furniture Package - Ready Room is a cost-effective, easy and quick way to set-up an entire school nurse's office or infirmary, with all needed furniture, all for one single package price. This package eliminates the hassle of finding multiple, individual items. The Furniture Package includes Hardwood Leg Couch with Adjustable Wedge Headrest, Wall Cabinet, Base Cabinet with Desk and Stainless Steel Sink, Pneumatic Stool, Waste Receptacle, Glove Box Holder and Exam Side Chair. 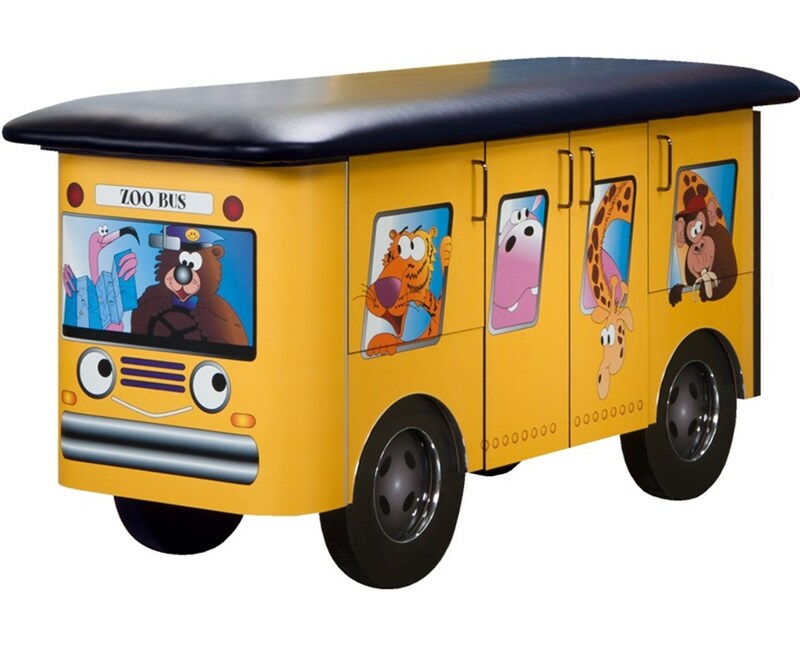 With an all-original Clinton Illustrations with graphics, the Fun Series Zoo Bus Treatment Table is a bus-themed piece of furniture that incorporates adjustable feet, seamless rounded corners, and soft-close Euro-style hinges. It includes 3 storage compartments with one adjustable shelf. The Fun Series Zoo Bust Treatment Table has a size of 72" L x 27" W x 34" H, a 350-pound weight capacity and a black color upholstery. The Schoolhouse Base and Wall Cabinet is a high-quality storage device designed with all-original Clinton Illustrations and graphics that are permanently embedded in the high-pressure laminate. It is constructed with durable and easy-clean all-laminate materials that ensure long-lasting use. The base cabinet has a size of 61" L x 18" W x 35" H and includes 4 doors with adjustable shelves and 3 drawers. The wall cabinet has 4 doors and adjustable shelves. The drawers are designed with Euro-style drawer fronts with metal sides that hold up to 75 lbs. Constructed with heavy wood laminates, the Koala Pediatric Laminate Step Stool ensures optimal durability in daily rigorous use for a long time. It features a non-skid tread for added stability and security. 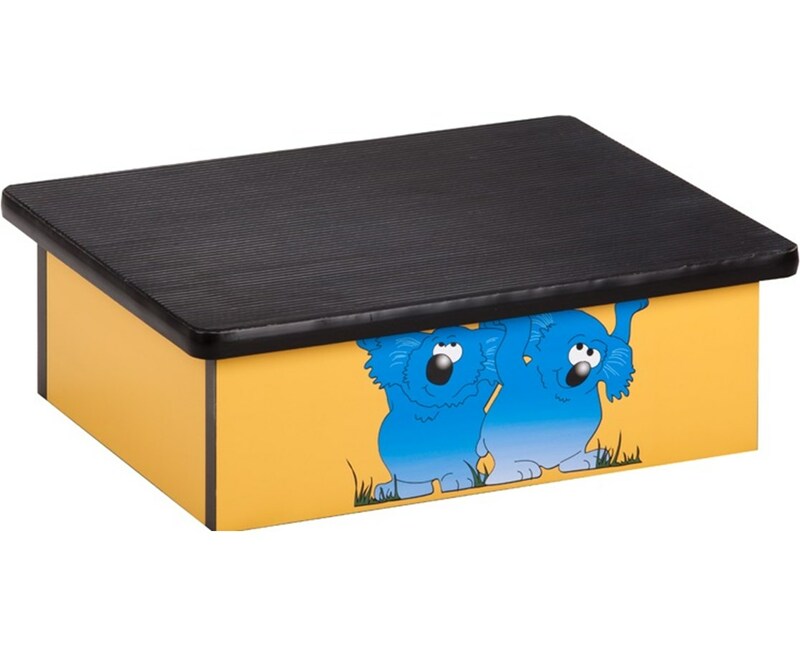 The Step Stool has a size of 20" L x 16" W x 7" H and has the Koala Graphics. 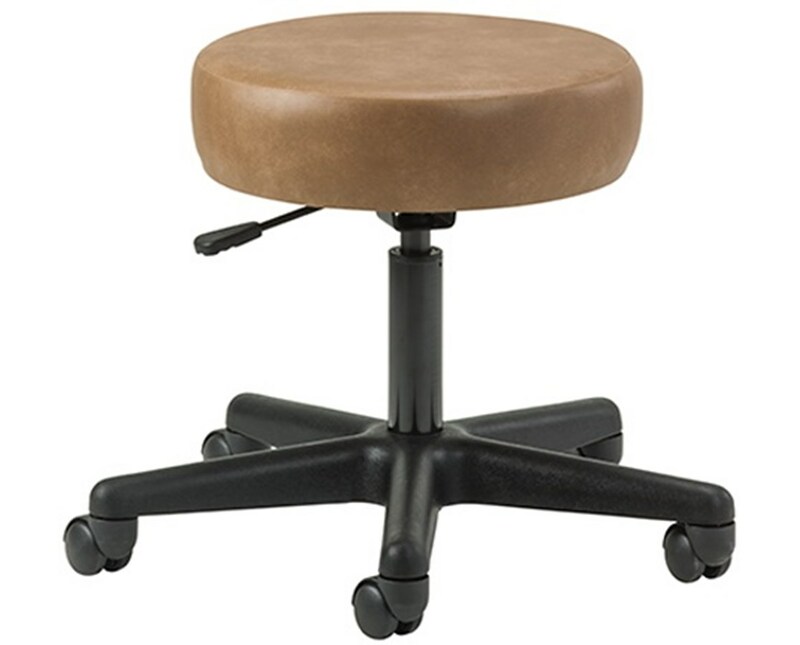 Made for optimal user comfort, the Economic 5-Leg Pneumatic Stool is a cost-effective device that features a stain-resistant, woven, knit-backed, thick padded and vinyl upholstery. It has a weight capacity of 250 lbs., a hassle-free pneumatic height adjustment and easy-to-roll, nylon dual wheel casters. It also comes with a choice of 23 upholstery colors. 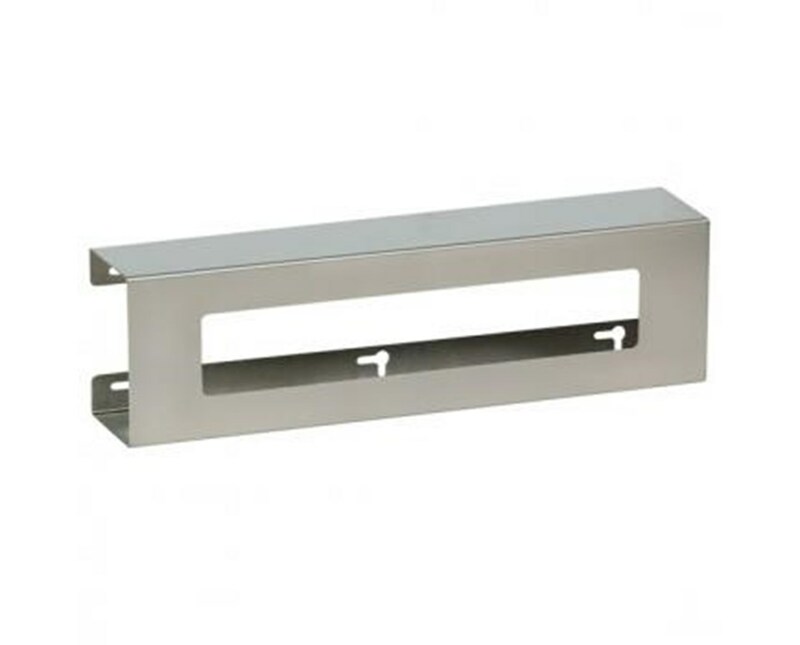 The Clinton Industries Glove Box Holder is a stainless steel constructed device designed to allow quick and easy glove identification with a universal size of 10" L x 3.75" W x 10.5" H that fits most glove boxes. Please note that this model is not MRI compatible. 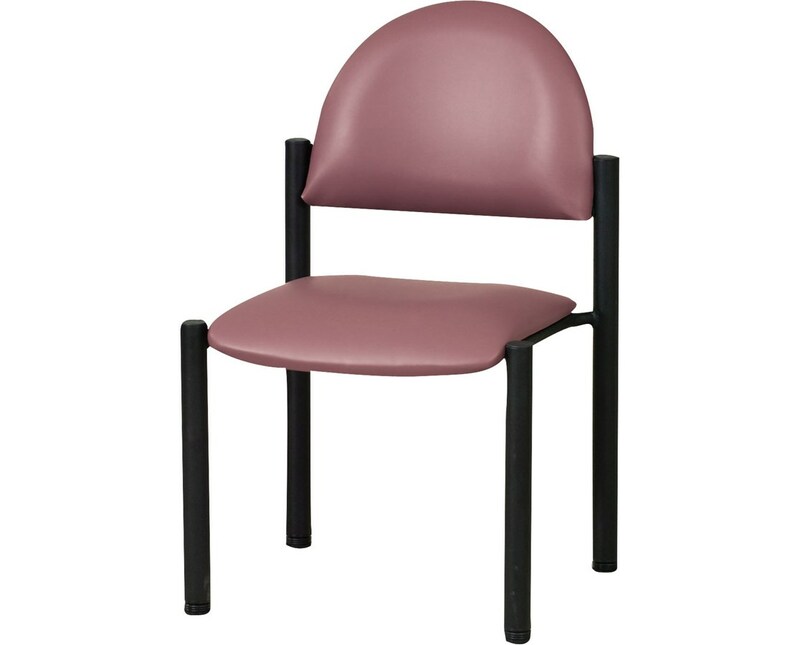 Designed to provide patients with a relax and comfortable experience, the Exam Side Chair is made of high-quality, durable 2" firm foam padding with heavy-duty legs that has a 300-pound weight capacity. It has a size of 17.5" L x 18" W x 18" H and comes with a various choice of upholstery colors.